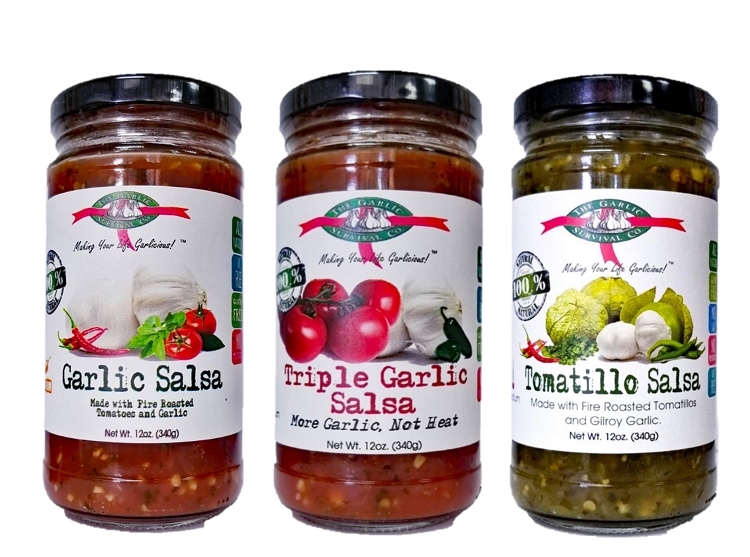 The Garlic Survival Company's Tomatillo Garlic Salsa is the freshest jarred Tomatillo Garlic salsa available! Use as a dip with chips; pour over chicken or add to your own special sauce. Try over eggs for snappy huevos rancheros. 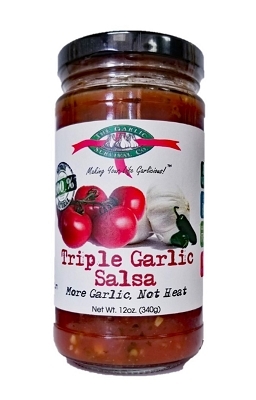 Our sons love it when we simmer meatballs in this high quality tomatillo garlic salsa. 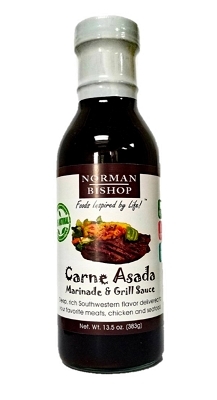 Especially wonderful on enchiladas and chili rellenos. Medium Heat. 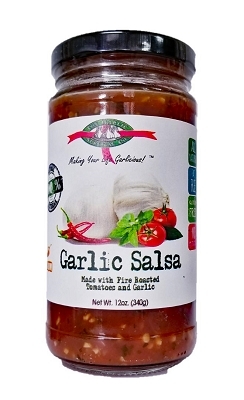 This is by far the best tasting low sodium salsa I have tasted. I now buy it by the case.